PHOENIX, Ariz. — There's arguably more demanded of a modern pickup truck than anything else on the road. Fiercely loyal customers have deep-seated beliefs about what a truck is and what it can do – but also expect more performance, improved safety and better fuel efficiency even as trucks grow larger and more capable. 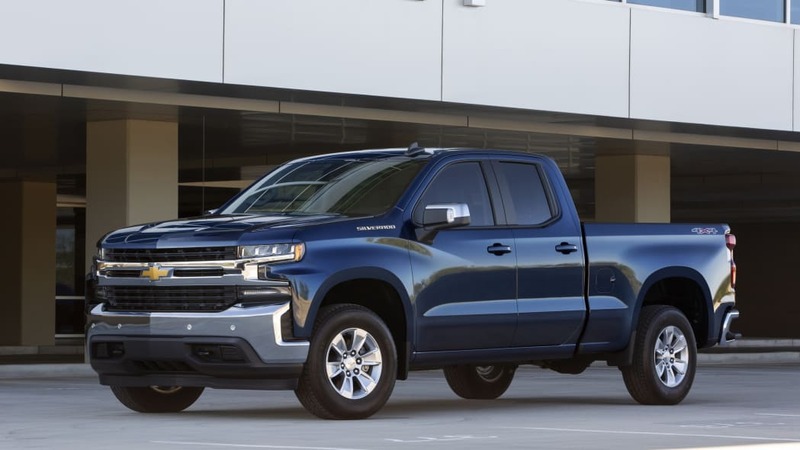 Look at the full-size 2019 Chevy Silverado and its downsized 2.7-liter turbocharged inline-four, for example, which aims to boost efficiency without sacrificing too much utility. Other automakers have taken a variety of paths to the same goal. Ford introduced a lightweight aluminum-bodied F-150 with available turbocharged EcoBoost V6s. 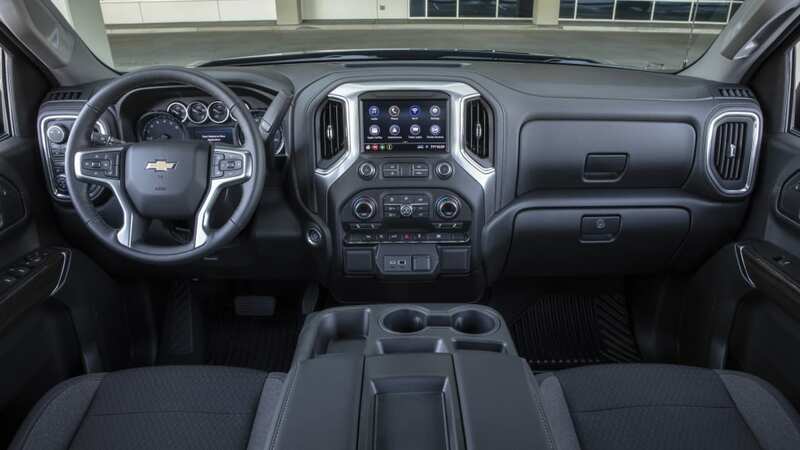 Ram is offering premium cabins and a 48-volt system on its entry-level V6-powered 1500 models in order to eek out every last bit of efficiency. Chevy is somewhere in the middle, both in terms of powertrains and metallurgy. 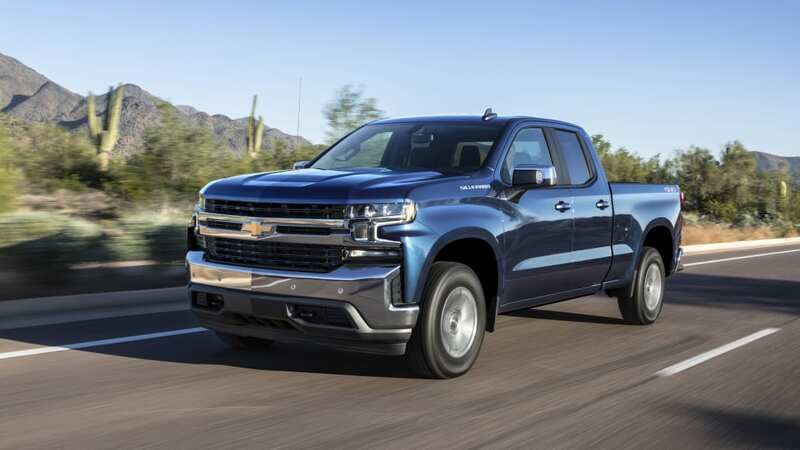 We've driven the new 2019 Silverado a few times by now — including some early prototypes — we've yet to sample a fully-baked version with the all-new 2.7-liter turbocharged inline-four. 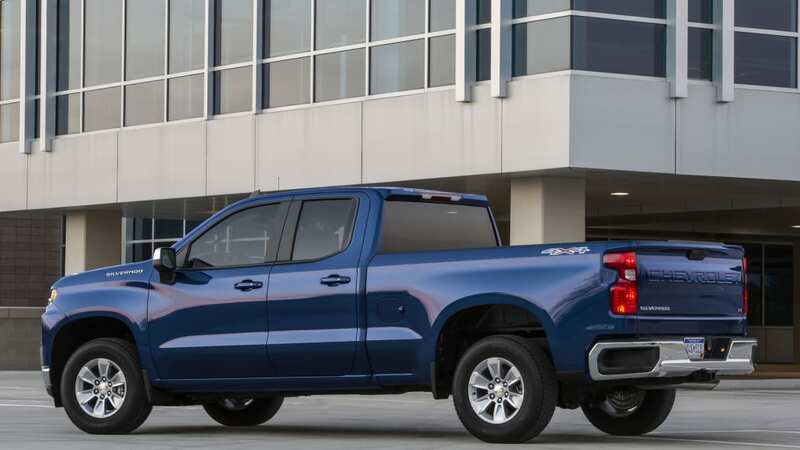 It's the only full-size truck available with a four-cylinder engine, though the related GMC Sierra will soon follow Chevy's lead, and we won't be surprised if it shows up in the Colorado sometime down the line. For now, the new engine is only available in the volume consumer LT and RST Silverados, replacing the 4.3-liter V6. The V6 is now relegated to the low-grade WT and Custom trims. The long-stroke inline-four makes 310 horsepower and 348 pound-feet of torque, 25 horsepower and 43 pound-feet more than the V6. Peak torque is available from 1,500 to 4,000 rpm. Unlike the V6, the 2.7 is paired with an 8-speed automatic. 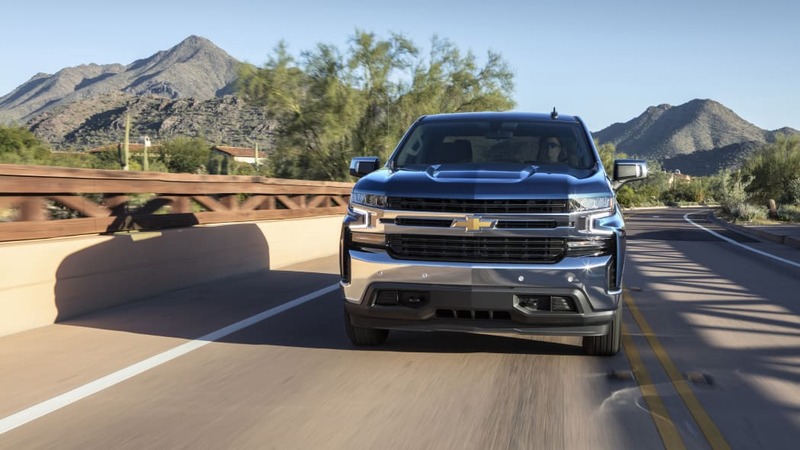 Like-for-like, a 2019 Silverado with the all-aluminum 2.7-liter weighs 380 pounds less than a 2018 V6-equipped model, helping both handling and fuel economy. 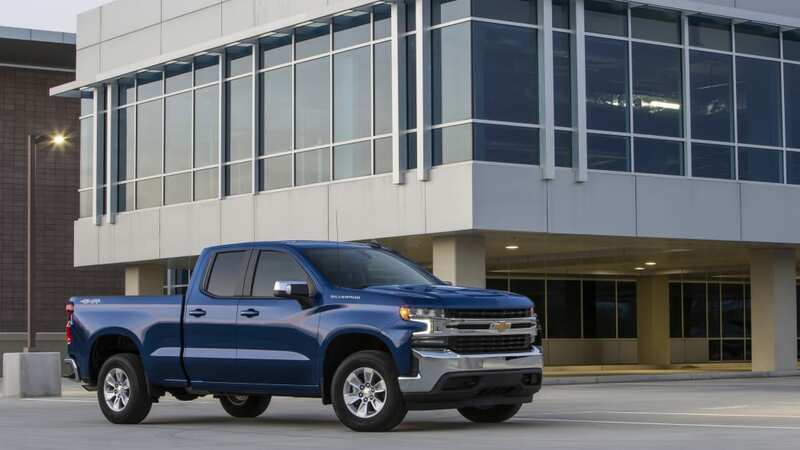 With the extra grunt and reduced weight from the 2.7-liter, the 2019 Silverado hits 60 mph in under seven seconds, more than half a second quicker than the old V6 and nearly as quick as the 5.3-liter V8. The engine employs some neat tech, too, including GM's first use of cylinder deactivation on a four-cylinder model. Under certain conditions, the 2.7-liter can run on just two cylinders. Other tech includes variable-valve timing, an electric water pump to reduce parasitic losses, and a dual-volute turbocharger – which is pretty trick. Basically, the turbo housing has two exhaust inlets and two nozzles to drive the turbine. This allows the turbo to spool up quicker, improving response and reducing lag. It's sort of like a twin-scroll turbo, but the inlets go to opposite sides of the impeller wheel. This balances out the exhaust pulses. The turbo also uses an electric wastegate that can open when cruising to reduce pressure and improve fuel economy. 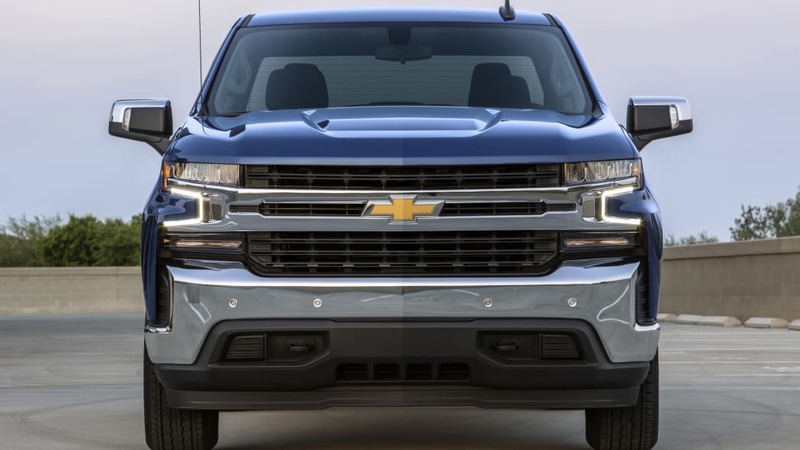 Fuel economy for the 2019 Silverado varies heavily depending on engine, transmission and drivetrain – and complicating matters, the ratings for the V6 haven't been released. Two-wheel drive 2.7-liter models are rated at 20 city, 23 highway and 21 combined. That's an improvement in the city over a 2018 V6-powered truck, but a 1 mpg drop in highway fuel economy. Four-wheel drive knocks the 2.7-liter truck's rating by 1 mpg across the board. For comparison, trucks with the 5.3-liter V8 with the 8-speed and cylinder deactivation are rated at 17 city, 24 highway and 19 combined. The standard 5.3-liter with a six-speed auto is rated at 15 city, 21 highway and 17 combined. A Ford F-150 with the 3.3-liter V6 is rated at 19 city, 25 highway and 22 combined, beating the Chevy's highway rating significantly. The same is true for the V6-powered Ram 1500. That truck is rated 20 city, 25 highway and 22 combined. 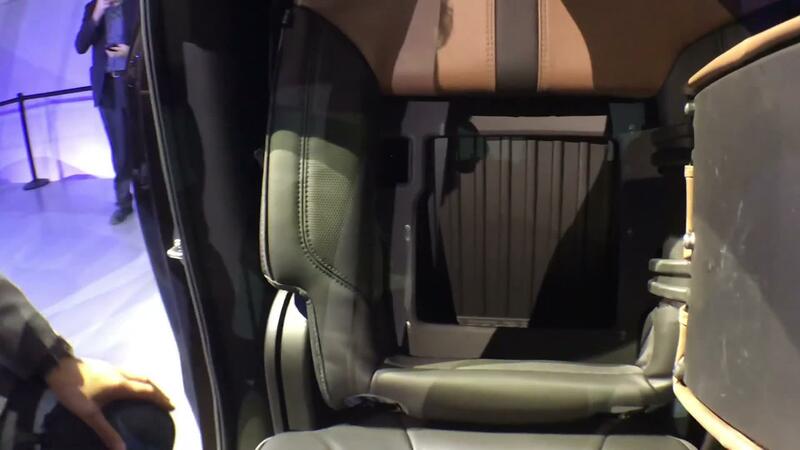 All three trucks have or will have torquey, fuel-efficient diesel engines in the near future, though Ford is the only one with one available for the 2019 model year. On the road, the 2.7-liter is plenty punchy. From idle, there's next to no turbo lag and revs build smoothly and quickly, despite the long, diesel-like stroke. The response and refinement feels even better than GM's 2.0-liter turbocharged inline-four found in many of its cars and crossovers. It's not quite as linear and even in its power delivery as the naturally-aspirated V6 or either of the Silverado's V8's, but the quick hit of torque helps make up for it. Shifts from the 8-speed are smoother and more refined than the 6-speed auto paired to the V6, though the gearing seems to have hurt highway mileage. On the road, the Silverado 2.7 is quiet and comfortable. Cruising along Arizona highways, the truck's improved refinement was immediately evident. Unless you laid on the gas, the engine receded to the background. At full bore, the exhaust note was surprisingly beefy, though it's not half as sweet as the sound of either of the Silverado's V8s. And that, I think more than anything else, will be the 2.7-liter's biggest hurdle. Chevy brought along a 3.3-liter V6-powered Ford F-150 and 3.6-liter V6 Ram 1500 for comparison. While the Ram comparison fits, comparing Chevy's 2.7-liter I4 to Ford's 3.3-liter V6 feels a bit disingenuous in terms of volume of sales. When it comes to volume consumer sales, the most direct competitor is the 2.7-liter EcoBoost V6. 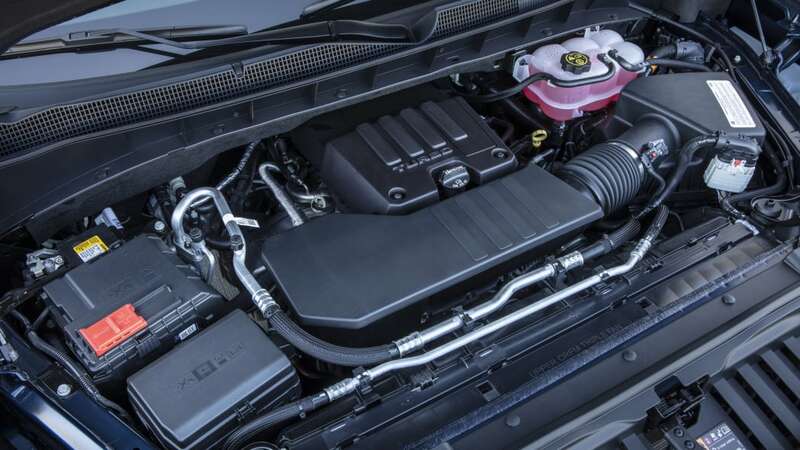 That engine makes slightly more power (325 horsepower and 400 pound-feet) and, with a rating of 20 city and 26 highway, is more fuel efficient on paper than Chevy's 2.7-liter. Numbers aren't everything. Somewhat surprisingly, Chevy's engine feels smoother than both Ram's V6 and Ford's 3.3-liter V6, though Ford's EcoBoost is the best of the bunch. Chalk the Ram's weak showing up to poor transmission tuning, odd as the 48-volt system is supposed to help smooth out shifts. 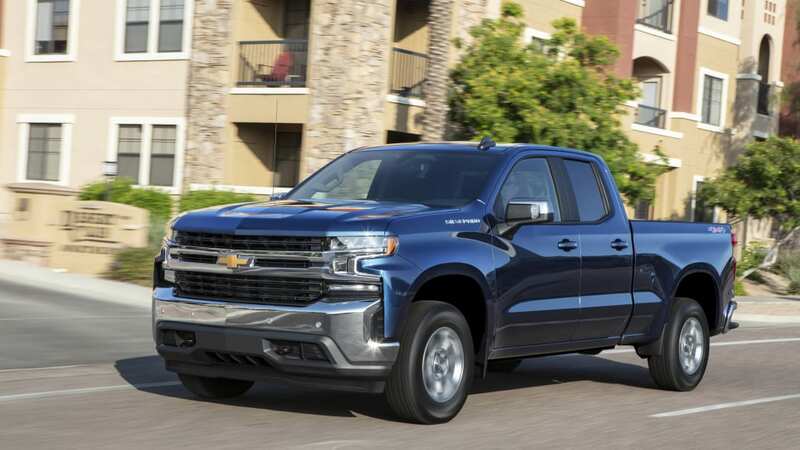 On the Silverado LT or RST, the 5.3-liter V8 is a $1,395 option, a relatively small up-charge when you're talking about transaction prices around $45,000. Power with the 5.3-liter V8 is up to 355 horsepower and 383 pound-feet of torque. Despite the V8's added weight, max towing and payload capacity are up, too. Unsurprisingly, the biggest drawback to the V8 is poor fuel economy, though with cylinder deactivation it actually gets better highway mileage. 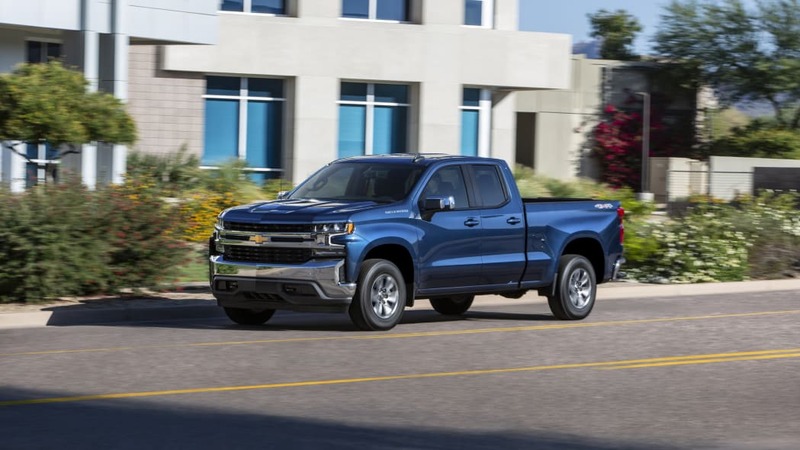 A base, two-wheel drive double cab short-bed Silverado LT with the 2.7-liter engine starts at just over $38,000 — there's no regular cab available on the LT. A similarly equipped Ford F-150 XLT with the 2.7-liter EcoBoost is $39,560 while a Ram 1500 Big Horn will set you back $37,590. 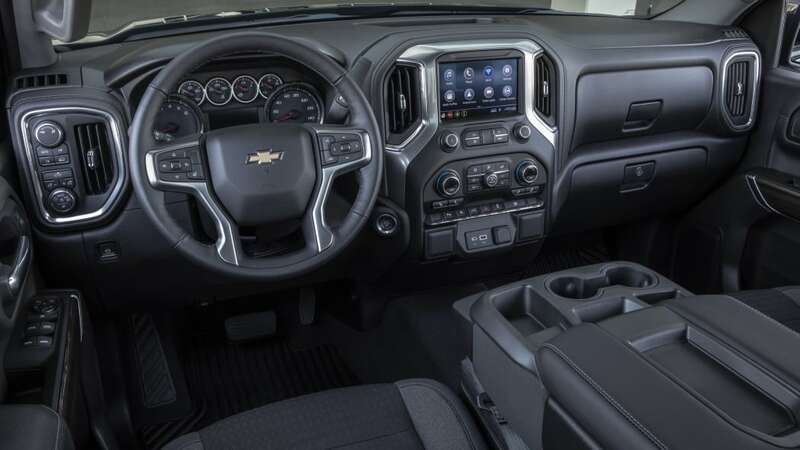 Standard equipment on a Silverado LT includes an 8-inch infotainment screen with Apple CarPlay and Android Auto, push-button start, automatic climate control and LED headlights. The new 2.7-liter in the Chevy is an impressive engine, and certainly an improvement over the 4.3-liter V6. It's smooth, powerful and generally quiet. Payload and towing are both up thanks to the extra power and reduced weight. Fuel efficiency is good, too, though Ford and Ram have significantly better highway ratings. Despite the benefits, can full-size truck buyers really live with a four-cylinder engine? If you want the space of a full-size truck for driving around town but don't need to tow a trailer or pack on lots of highway miles, sure. If you want big power or a highway cruiser, it's best to look elsewhere or wait for the upcoming 3.0-liter diesel.